Hypnosis Can Help Stressed Out Employees–It Works! Hypnosis or hypnotherapy seems to be one of the last things people consider when they want to change their thoughts or patterns, but it works! Because the subconscious mind is programmable, most people can be hypnotized. What is the difference between hypnosis and hypnotherapy? Basically– who is providing the service. Hypnotherapy is provided by clinicians, whereas hypnosis is offered by a non-clinician. Both are effective if provided by a qualified expert that you trust. There has to be a bond of confidence between the practitioner and the client. Thoughts form our belief system and also align our behavior. If you feel like you need to change your behavior or gain more courage—be sure to check out a qualified hypnotist or hypnotherapist in your area. The service can even be done over the phone. I sought hypnosis to heal many of my negative childhood experiences. I was able to regress back to being a child and able to discuss my concerns with those who had harmed and bullied me. My hypnosis sessions were powerful and healing. Be patient and kind to yourself if you are checking out modalities to manage your stress levels or if you are looking for personal growth transformation. Your job can be very stressful and especially when incivility is the culture in your workplace. 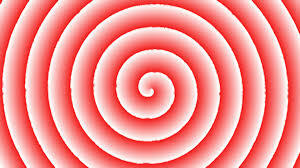 Hypnosis is like a guided meditation according to an article on WebMD.com. It has many prevailing benefits that help you gain clarity, confidence, a sense of safety, overcome phobias, fears, anxiety, depression, stress, PTSD, and grief. How does hypnosis work? A hypnotist or hypnotherapist will help the client get into a restful state of relaxation known as a trance. It’s important for the client to provide details of what they want to achieve before they are hypnotized. The session should always be centered on the client. The remarkable thing is that people are often in a “trance” without even knowing it. For example, if you are driving on a long trip, you may slip into a peaceful, relaxed state, but if your vehicle begins to swerve, you become very hypervigilant for safety’s sake. Suggestions that the client has asked for are administered in the hypnosis session. These could be suggestions to your subconscious that you are feeling better, you can handle the stress in your life or, you can stand up to your bully. There are so many powerful suggestions to help you in your time of need. You can even ask the hypnotist or hypnotherapist for ideas. People do not have to go into a deep trance to receive the benefits of hypnosis. Even if you hear car noises or a dog barking in the distance while you are in a hypnotic trance, you can still receive positive reinforcements that move you forward in your life. There are different levels of trance, and all of them can benefit the person receiving hypnosis. Hypnosis can be an aid to psychotherapy or other counseling. It enables the client to work on issues to improve their self-worth and self-confidence. It’s also one of the most effective stress-reliever modalities available. Many people report they felt like they woke up from a great nap when they come out of a hypnotic trance. I love it so much that I became certified in 2012 so I could help others receive the benefits of hypnosis. I wanted to feel safer, more confident, and less stressful when I started seeking sessions with my practitioner. I was standing up to workplace bullying and discrimination at the time. Worse—I was receiving retaliation for reporting my former government managers for nepotism and other prohibited personnel practices. Life was pretty rough for me at the time when I began receiving hypnosis sessions. I had a very hard time sleeping at night because my stress levels were through the roof! I looked forward to every hypnosis session I had and always left feeling calm and confident. Like I had woken up out of a wonderful dream. That’s why I encourage others to check it out. If you want to gain confidence, reduce your stress or achieve other goals—be sure to check out this wonderful modality. It can be a life changer! Dawn Marie Westmoreland is a highly skilled Human Resource Consultant with 27 years of experience. She provides a “How To” system to eradicate workplace bullying and discrimination to executive teams, global leaders, political teams, government leaders, attorneys, mental health professionals, and employees. She creates a harmonious values-based culture for a safe and respected work environment.